Lindsey and Chris’ wedding has come and gone and I have to say, what a party. I haven’t danced so hard in my entire life, and on top of that the music, the food, the drinks, the decorations…all spectacularly beautiful. I hope the happy couple enjoyed themselves as much as I did. And to recap such a spectacular night I have just the thing – Wedding Superlatives! Get excited. A random sampling of the best/worst-but-in-a-funny-way things of the evening. Feel free to add your own below, because I’m sure there are parts of the night I missed (that have nothing to do with the tequila). 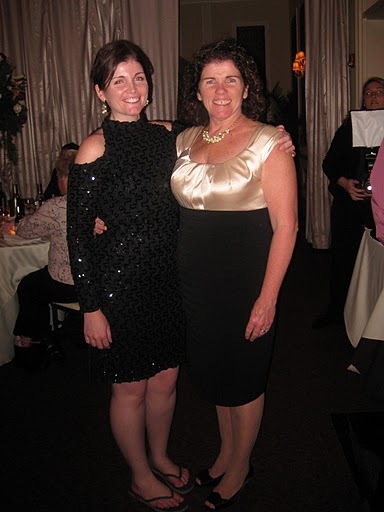 And to all those readers out there who dared me to wear my mom’s black sequined dress circa 1993: peoples be owin’ me monies. Best Dressed: The bride, duh. Lindsey looked so beautiful in her empire waist wedding dress, with her red hair in curls. OMG. 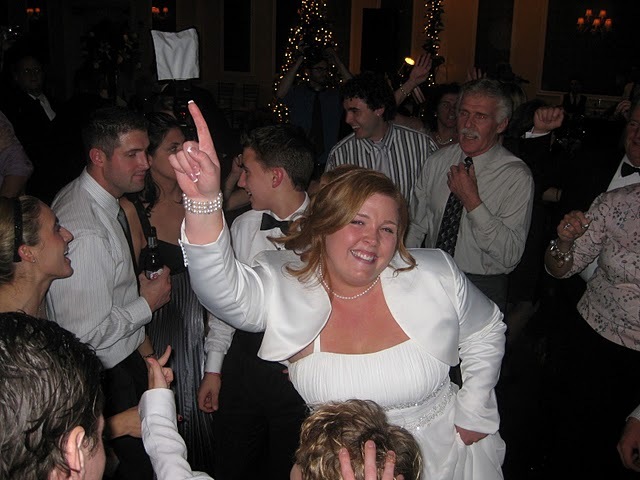 And then she came to the reception with her hair up and a white bolero jacket – best wedding outfit ever!! Linds, you are truly gorgeous, and you looked radiant on your special day. 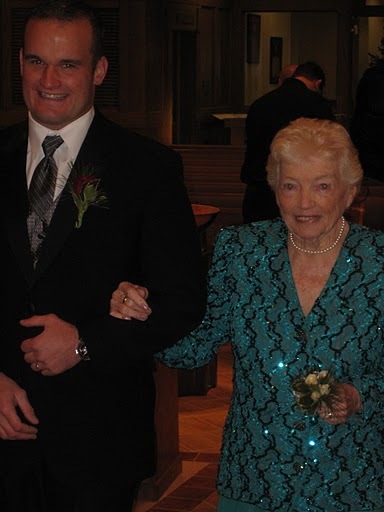 Best Backhanded Compliment: “You should have been wearing outfits like this 10 years ago.” Thank you, Nana. While I’d like to believe that you meant “Kelly, you look beautiful,” something tells me what you really wanted to say was “your life would be better today if you had been a teen mother and tricked some guy into marrying you.” Show of hands, who else heard that? Best Maid of Honor Speech: I’ve never heard something so heartfelt, and even though Destinee had trouble getting through it without crying, the tears only added to the sentiment. Sweetheart. Biggest Bully: I still can’t walk today because Tim Turnbull (East Coast edition) decided to pull my chair out from underneath me. 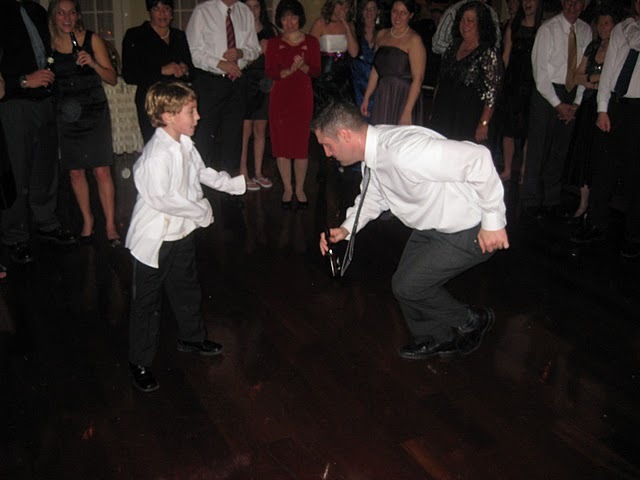 Clearly jealous of my skills on the dance floor, he told me he had every intention of letting me sit in said chair. But instead I ended up on the floor. I’ve also been told by several unnamed sources that Tim was paralyzing people with his “moves.” Get it together, Turnbull. This isn’t the hockey rink. Biggest Culprit: There was some 13-year-old boy stealing everyone’s champagne. I’m not going to name names, I just don’t want to be in trouble for it. Best Impersonation of an 80s Movie Prom Scene: Tie. 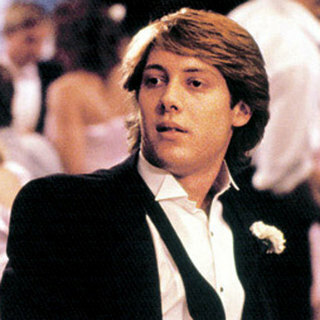 I’m pretty sure my cousin Brett in a tuxedo is a direct replica of James Spader in Pretty in Pink (check this out if you don’t believe me). Once he gets to that wedding, the sleeves get rolled up, the shirt collar is undone, and oddly, his hair gets feathered. But he had to compete with me and my sequined mini dress with mock turtleneck and cut out shoulders. If anyone does 80s teen movie well, it’s me. Sidenote: when they told me I couldn’t dance in Shadows, I pretended I was in Footloose. Best Hair: Could it be anyone other than Joe Dickinson? That kid’s got a serious look going on, and I love it. When asked just how he does it, Joe said “I just get out of the shower and do this,” and then proceeded to whip his hair back and forth. Sidenote: I legit had the best table ever. Best Slip Up: Did anyone else hear the priest accidentally call Lindsey “Lindsley?” Should have known it would be a good omen for the night. Worst Kept Secret: “Aunt Flo died?! ?” There should seriously be a Turnbull family newsletter for people who go to say, Iraq, and don’t come home for a year. Sorry, Matt. Our bad. Quote of the Night: “Hank’s single.” I can’t tell you how many 20-something ladies (and maybe 50-something ladies…and maaaaaybe 31-year-old Tim Turnbulls) said this to me Saturday night. Go Hank! Sidenote: can we all agree that Hank was actually born a Turnbull? Now tell me, who was it that gave him up for adoption?? I’d volunteer myself, but Nana made it perfectly clear I didn’t have a shot in hell of getting pregnant in the clothes I used to wear. For more pics from the night, click here. First time I saw that dress was in the parking lot outside Sacred Heart School. Your mom had it in her car and showed it to us after Step Class! Thanks for that blog I was hysterical laughing… I think I cried a little. Brought back all the great memories. Just so you know when Chris and I get the video we should all get together to drink, eat and laugh at all the stuff we didn’t realize we did. I’ll keep you posted. Love ya cuz.